A run-down community space near Carlisle is being transformed into a vibrant hub for sport. Thursby Sport and Recreation Committee received £3,750 in September 2014 from the Joyce Wilkinson Trust Fund to transform Jubilee Playing Field from swamp into sports ground. The field is the only facility in the parish for participation in football and recreational play and flooded regularly due to poor drainage, which led to local sports teams leaving to play elsewhere. 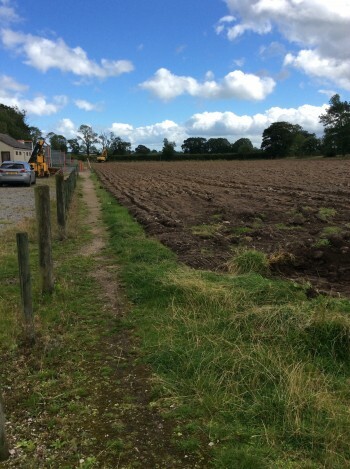 The new and improved grass pitches will encourage teams back to the village, offering increased sports opportunities year-round for young people in a rurally-isolated part of north Cumbria. 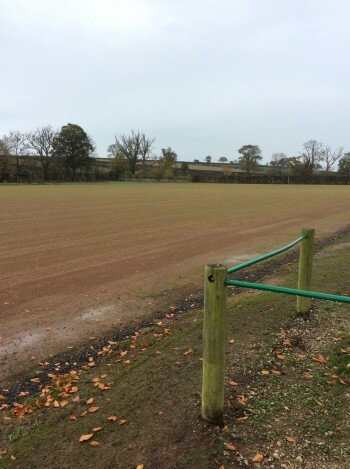 Heavy drainage work and re-seeding was completed by the end of last summer, with the pitches now in a 12-month phase of ‘growing in’. The field will be ready for use by local sports teams from September this year. The new field will allow for more sporting opportunities and will be regularly used by Thursby Primary School, Dalston Junior Black Reds FC, Ship Inn FC, and Thursby Nursery & Toddlers Groups. The total cost of the project was in excess of £160,000 with major funding provided by Sport England and the FA Facilities Fund.